This is a park for those who like to be in the woods in a quiet setting. We were on site 15 - a large site with a picnic table and fire ring. There is a trailhead just a few yards away if you want to take a walk or mountain bike. 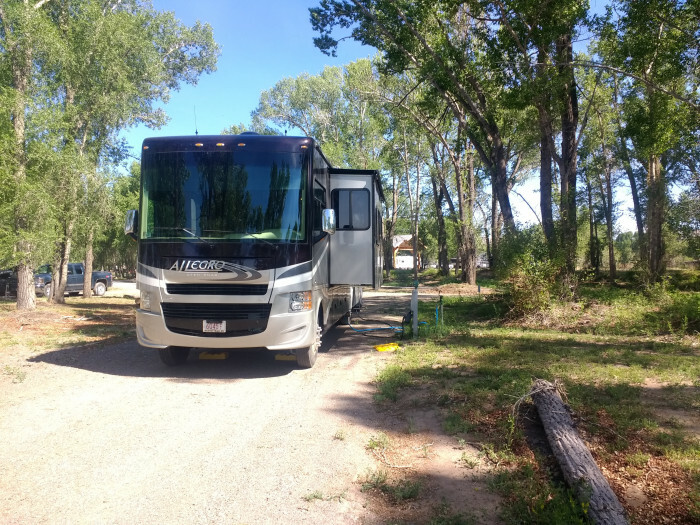 The roads are rutted and bumpy but we managed to navigate our 35 ft motorhome around the park and into our site. (We did need some assistance to find the site as it was out of sequence.) The closest grocery store is a 20-minute drive. The "lake" is missing, the dam broke and is still be repaired. The showers were clean, large and provided plenty of water pressure and hot water. We camped at Little Pee Dee State Park in a Motorhome. Owners are friendly and accommodating. Roads are easy to navigate and sites are easy to get into. Our site was not huge, but large enough for us to put out our rug, chairs, grill, etc., and a picnic table was provided. There is a large screened in room that is used for activities. The laundry room was nice and the machines worked well. Everyone was friendly. There were some activities but we did not participate. There was a nice place to walk at the Taylor Creek storm water treatment area about a mile down the road. Lots of wildlife - otters, raccoons, Great Blue Herons, Ibis, Alligators. We camped at Villa Margaret MH/RV Park in a Motorhome. This campground is mostly intended for smaller campers. Our site, site 6 loop A, was impossible to get into without brushing some branches. 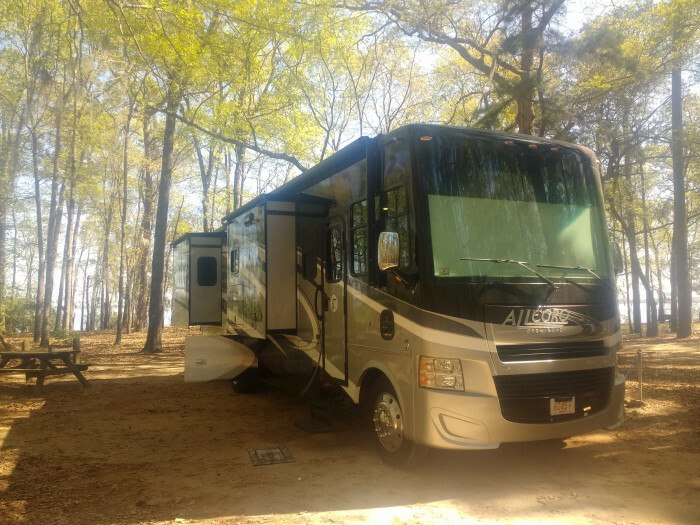 There were other sites that I believe would have been long enough for our 35 ft motorhome where the foliage was not so close, but 35 ft is probably about the max length. Although the pavement section is tight the sites are large, with grills, fire pits, picnic tables and plenty of room to set up. The spring in the day use area is clear and good for swimming, snorkeling and scuba diving. There are nice paths to walk around the spring. We'd camp here again but would request a different site. Weekend nights most of the campsites were in use, during the week our loop had a max or one other camper. 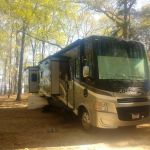 We camped at Alexander Springs Recreation Area in a Motorhome. I wish we had snorkeling gear. Nice Campground next to the water right in town. Good size shaded pull through - neat and well maintained. Self-pay station. Lots of folks fishing, little league baseball in the park within view and a two-minute walk to the heart of Ellis (it's small but interesting). 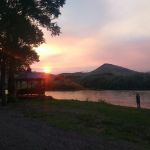 We camped at Ellis Lakeside Campground in a Motorhome. The owner is very nice and pleasant to deal with. The pull-through FHU site was large and pretty level. They have a nice little pool. The washers and dryers are new and the laundry room was air-conditioned. Everything was neat and well maintained. We thought the place was a great value and would stay there again in a heartbeat. 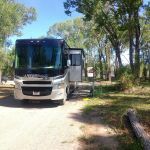 We camped at Camp Mi Casa on the Route RV Park in a Motorhome. We went to the drive-in that was nearby and really enjoyed it. Wooded campsite on the Rio Grande. There are gazebos and picnic tables along the river. Our gravel site was large, shaded and level. We made our own fire ring from the available rocks and there was free firewood for the taking. Staff was friendly and helpful. Del Norte does is not economically prosperous and the neighborhood around the park was a little run down, but the small downtown was interesting. 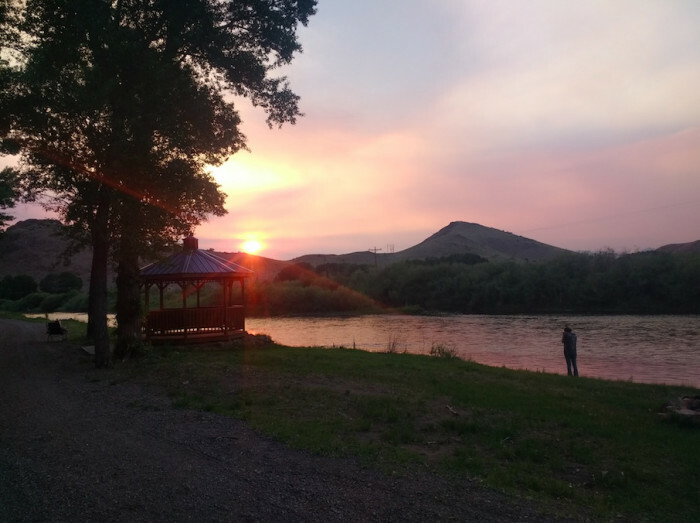 We camped at Woods and River RV Park & Campground in a Motorhome.